The Campaign for USC is having an impact on every aspect of the university. 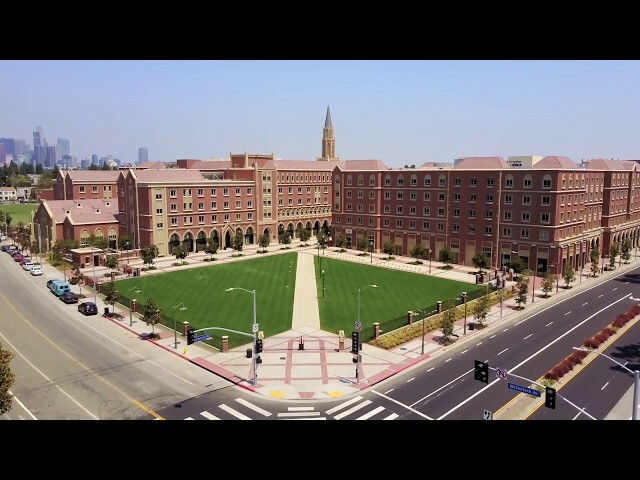 Tour USC Village, the groundbreaking mixed-use development that has transformed USC and the surrounding community. USC Student-Athletes a Force for Good in L.A. The USC International Artist Fellowship Program enables emerging artists from around the world to pursue graduate study at any of USC’s six arts schools. The restoration of the Los Angeles Memorial Coliseum’s peristyle and Olympic torch ensures that this historic structure will remain a treasure for generations to come. More than 200 USC students have benefited from the initiative. The public health expert is the inaugural holder of the chair, which is dedicated to advancing the study of health economics and older adults. The renovated David X. Marks Tennis Stadium features new suites for USC’s tennis teams, new spectator shade canopies and displays the rich history of USC’s tennis program. Frenzen is the founding director of the USC Gould Immigration Clinic, which provides representation to adults and children from all over the world. The Rogolsky Collection is comprised of more than 700 pieces by artists from the Americas and Eastern Europe. The USC Glorya Kaufman School of Dance is dedicated to a new model for dance—a hybrid form expressed in new media, scholarship, studio practice, music, choreography and performance. The Mork Family Scholars Program provides full-tuition scholarships to students of extraordinary intellect and talent who have demonstrated the highest qualities of scholarship and citizenship. 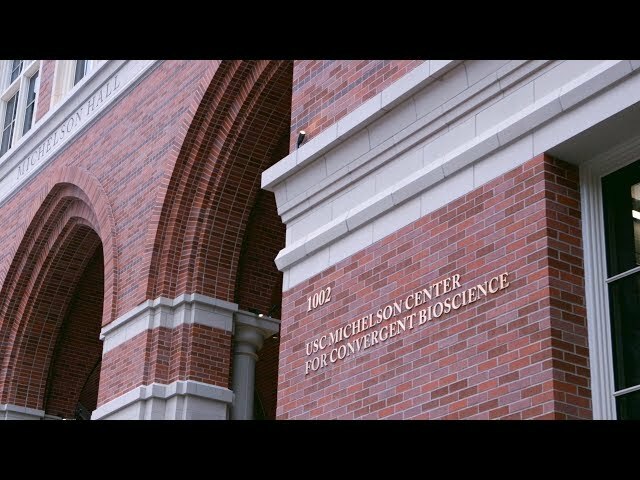 Take a tour of Michelson Hall, the cutting-edge home of the USC Michelson Center for Convergent Bioscience. USC’s swimming and diving teams now have the advantage of training in a world-class facility that includes a long course pool and a diving well with towers. The Alice and Eleonore Schoenfeld Endowed Scholarship Fund for Strings Students enables the world’s most talented violin and cello students to attend the USC Thornton School of Music. The USC School of Dramatic Arts launches a new professional degree program in musical theater — the first of its kind at the university. USC School of Cinematic Arts scholarships for African-American and Hispanic students expand opportunities for storytellers whose voices are underrepresented in film and media. The USC Annenberg Center for Third Space Thinking brings critical communication skills to businesses and nonprofits. Boosting the math skills of K-5 teachers will add up to better outcomes for their students. The institute aims to speed the translation of basic research into new therapies, preventions and cures for brain injury and disease, including Alzheimer’s, schizophrenia and traumatic brain injury. The Judge Hollinger Alternative Dispute Resolution Program prepares law students for the field of arbitration and mediation. These partnerships include a program which offers biomedical engineering courses to high school students, as well as a mobile dental van program. Interdisciplinary collaboration at the USC Michelson Center for Convergent Bioscience is accelerating the development of life-saving drugs and devices. The USC Glorya Kaufman School of Dance is preparing students to be well-rounded artists and thinkers who create change. The university’s college-prep program expands its reach to help more South and East Los Angeles students develop the knowledge and skills to pursue college degrees. The USC professor and historian is the inaugural holder of the chair, dedicated to advancing insight into the ways music and pop culture can serve as conduits for cross-cultural exchange. USC scientists and engineers are developing an on-the-spot, temperature-sensitive gel that could seal eye injuries on the battlefield. USC Annenberg’s Sheindlin Forum advances intellectually rigorous, civil and healthy discourse necessary for social progress. The Hilda and Bruno Haug Ovarian Cancer Research Fund supports research projects at the USC Norris Comprehensive Cancer Center, including genetic sequencing for women’s cancers. The Ney Center for Healthspan Science is a hub for multidisciplinary exploration of the biological, demographic and psychosocial aspects of aging. USC now offers four-year (rather than renewable one-year) scholarships, to all student-athletes in the university’s football and basketball programs. The Kevin Feige Endowed Fund for Creative Producing fosters the skills needed to take film projects from idea to distribution—turning pitches into commercial products. USC researchers and scientists seek breakthroughs that can be translated into new and promising approaches to lung injury, repair and regeneration. USC’s Kinder 2 College literacy program increases the number of after-school sessions for neighborhood kids. Endowed scholarships help attract the finest students to the USC Thornton School of Music and provide them with opportunities they wouldn’t have otherwise. The USC Iovine and Young Academy provides a nontraditional style of education for students who see their futures differently. The institute studies and teaches the psychology, physiology and neuroscience underlying human performance in business, sports, arts and entertainment, and other contexts. At Keck School of Medicine of USC, the search for a cure of Alzheimer’s and other forms of dementia has led to advances in treatment and prevention. The first transcatheter mitral valve replacement ever to be performed with this device in California took place at the Keck School of Medicine of USC. Thanks to endowed scholarships, USC School of Cinematic Arts undergrads can access a network of 10,000+ alumni working in the entertainment industry. Directed by a master builder, the studio helps students develop the critical thinking necessary to complete a large-scale, complex construction project. The Cleofas and Victor Ramirez Professor of Practice, Policy, Research and Advocacy for the Latino Population advances scholarship supporting Latinos and promotes informed policymaking. The USC Leventhal School of Accounting established new scholarships and a faculty chair, and invested in other academic priorities in its signature Master of Business Taxation program. 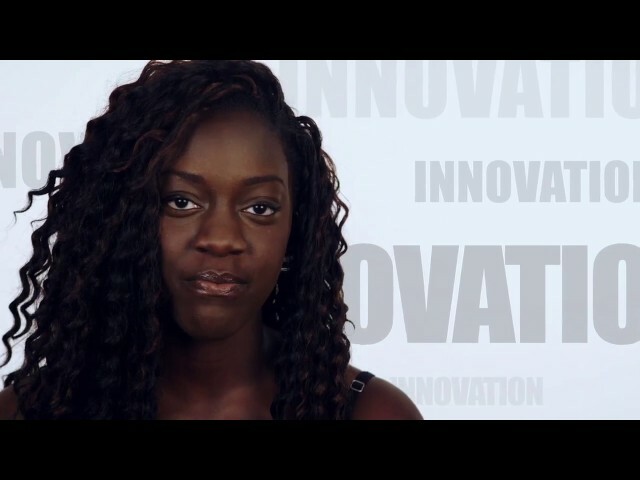 The Brittingham Social Enterprise Lab trains the next generation of social entrepreneurs to solve some of the world’s most pressing social problems. The Center advances the practice of ethical business leadership though research, educational programs, curriculum development, seminars and community outreach. Endowed scholarships have given students opportunities they otherwise wouldn’t have had. Undergrads in the USC Jimmy Iovine and Andre Young Academy earn a degree in disruption. Students living in USC Village's Bohnett Residential College collaborate with faculty, staff and social entrepreneurs to seek innovative solutions to a broad range of social problems. The 7,000-square-foot facility includes dedicated men’s and women’s locker rooms, instrument and uniform storage, a spacious student lounge and a rehearsal space. The USC Epstein Family Center for Sports Medicine’s specialists collaborate with USC Athletics and Keck Medicine of USC to study and develop innovative injury prevention strategies. The School of Religion at the USC Dornsife College of Letters, Arts and Sciences has established the country’s first chair in Hindu studies funded by the Indian-American community. The John McKay Center houses both state-of-the-art training facilities and the Stevens Academic Center, which provides tutoring, counseling, computer labs and study space for USC athletes. The Center for Global Supply Chain Management works with more than 100 companies across the globe to provide thought leadership, networking opportunities and industry-leading resources. Virtual reality programs developed by the USC Institute of Creative Technology help veterans with PTSD and also offer immersive history lessons for kids in the community. The Viveca Paulin and Will Ferrell Scholarship Fund supports an area of deep need for USC’s student-athletes. The renovated and renamed Barrack Hall serves as a state-of-the-art home for USC Marshall’s international business programs and as a vibrant hub for international business thought leadership. The building’s state-of-the-art design supports modern technology, student collaboration and entrepreneurial endeavors at the USC Marshall School of Business. The funds provide international travel grants at USC Dornsife, tuition assistance at USC Marshall and scholarships at the USC Suzanne Dworak-Peck School of Social Work. Wasserman serves as founding director of the Founder Central Initiative—creating new knowledge about the early decisions faced by the founders of new firms. The Shelly and Ofer Nemirovsky Provost’s Chair ensures that the university will continue to attract and support accomplished academic leaders in perpetuity. Students are working with professors, doctors, engineers, artists and technology-transfer experts at the Bridge Institute to improve the human condition. iORB, home to internationally renowned thought leaders from across many business disciplines, nurtures academic work that positively impacts the business community and society in general. The Charles Griffin Cale Director of Athletics’ Chair ensures that USC Athletics will continue to succeed at the highest levels in the world of intercollegiate athletics. Click here to watch a video about Troy Polamalu’s special bond with USC linebacker Juliano Falaniko. Students, athletes, parents and donors gathered for the ribbon cutting ceremony and watched the stadium’s first match between alumna and Olympic silver medalists April Ross and Jennifer Kessy. At the USC Epstein Family Center for Sports Medicine, researchers are advancing their pioneering work on preventing and healing sports-related injuries. The $300 million project will bring the 95-year-old stadium back to its former glory and add world-class amenities. 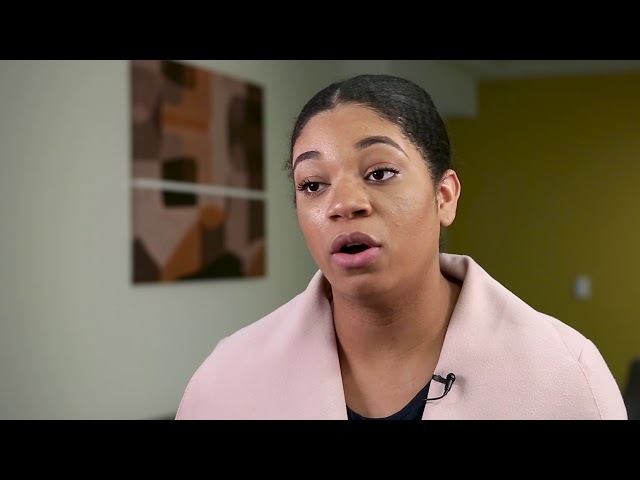 Student investors now benefit from a new fund to explore asset allocation methods, which is different from many other student investment programs that focus on security selection. The USC Institute for Biomedical Therapeutics provides critical funding for innovative research at USC into debilitating neurosensory diseases. The fund creates opportunities for more women to pursue a graduate-level business education. The historic gift naming the USC Suzanne Dworak-Peck School of Social Work is an investment in the school’s future and the profession on a global level. Students from across the globe study at USC and two other highly regarded business schools in Hong Kong and Milan, earning bachelor’s degrees from all three institutions.